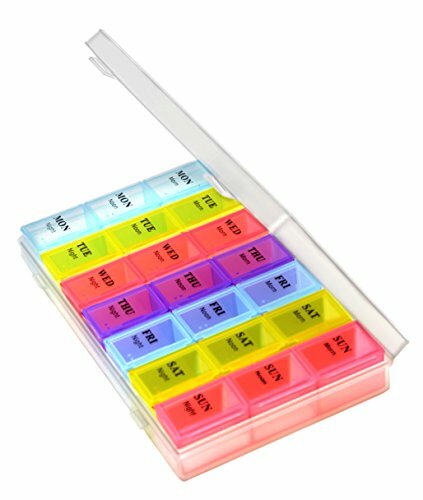 This optimum sized reminder pillbox helps organizing your daily medications for the whole week into morning evening slots. This is especially useful while traveling where routines are often disturbed. Even as a daily routine, it is convenient to refill the box once a week for easy doze administration. Each day of the week has a different vivid color, Take the day's box out of the frame to carry the pills for the morning or afternoon with you. If you have any questions about this product by Inspiration Industry NY, contact us by completing and submitting the form below. If you are looking for a specif part number, please include it with your message.